The northwestern coastal city of Langley, Washington has just over 1,000 residents but is one of the larger cities on the southern portion of Whidbey Island, along the Saratoga Passage of the Puget Sound. It is part of Island County, which encompasses Whidbey and Camano Islands, both known for their classic Pacific Northwest beauty and dedication to enjoyment of the outdoors. 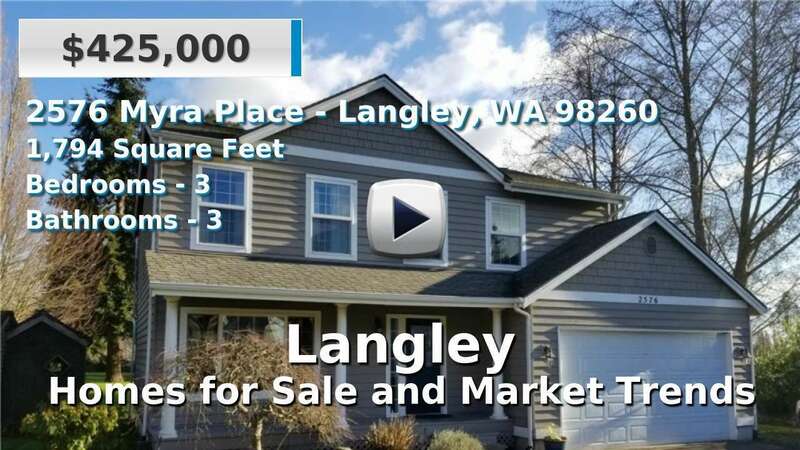 Homes for sale in Langley are newer than average, providing home buyers the opportunity to live conveniently close to all sorts of activities Whidbey Island is known for. 2 Beds | 2.25 Baths | 1902 sq. Ft.
3 Beds | 2 Baths | 3443 sq. Ft.
1 Beds | 0.75 Baths | 728 sq. Ft.
3 Beds | 3 Baths | 2341 sq. Ft.
2 Beds | 1.75 Baths | 2016 sq. Ft.
4 Beds | 2.75 Baths | 1684 sq. Ft.
3 Beds | 2.25 Baths | 1768 sq. Ft.
4 Beds | 2.25 Baths | 3889 sq. Ft.
3 Beds | 5.5 Baths | 5606 sq. Ft.